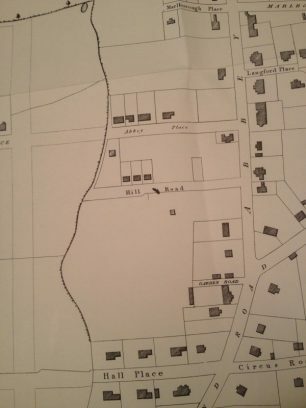 The boundary between the Eyre Estate and the land belonging to Harrow School followed the medieval track from Lisson Grove to Kilburn Priory, which belonged to the Greville estate, and the footpath can still be traced from start to finish. 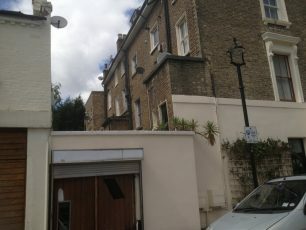 Starting at Cunningham Place just south of St John’s Wood Road, through Hamilton Close, via Nugent Terrace and Violet Hill, Blenheim Passage and Greville Road, one has to be prepared to dodge round roads that end in brick walls to reach one’s goal. 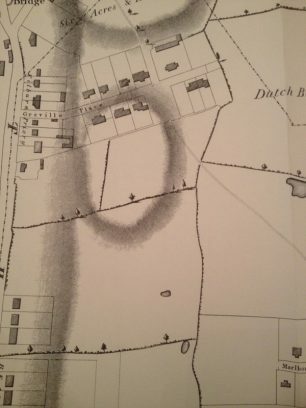 This is because the Eyre estate ended most road- making when it reached the footpath boundary, and though in the intervening years some roads crossed into the other estate, the original layout still exists in many cases. 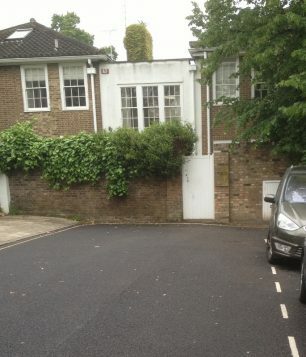 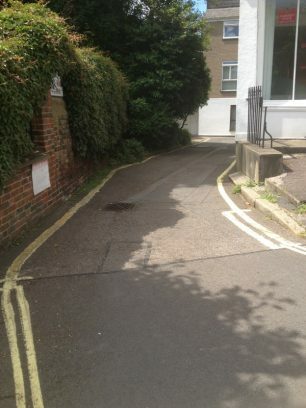 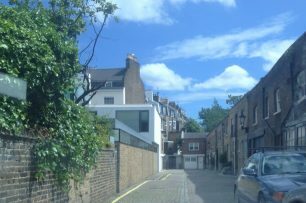 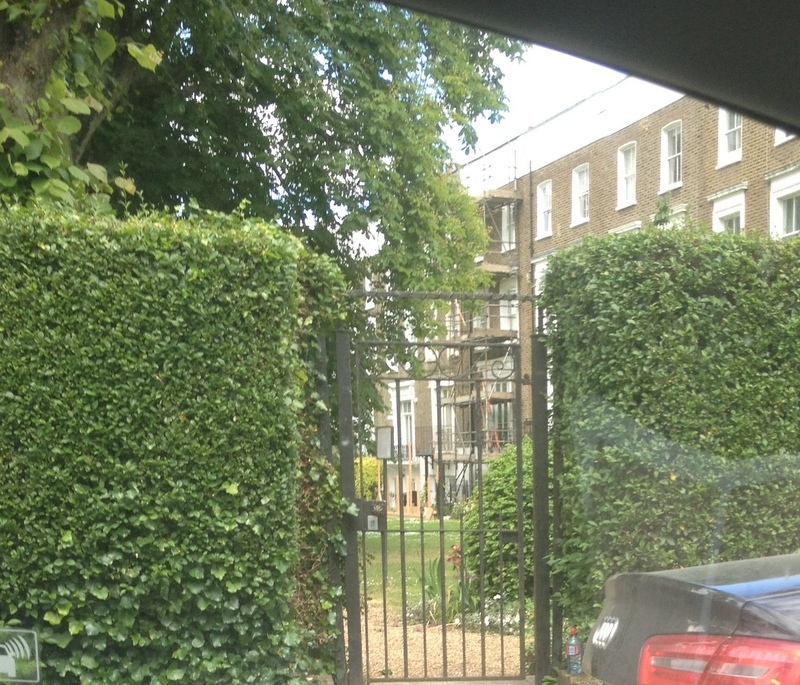 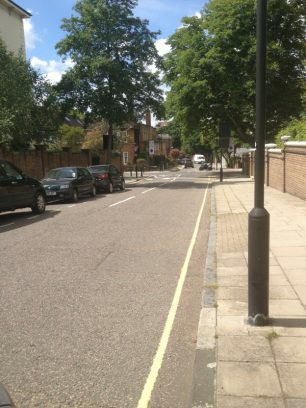 ends with a wall behind which the houses of Hamilton Terrace were built, and then the path crosses one of the roads, Hall Place, which eventually breached the boundary and is now a through road. 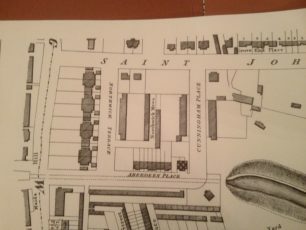 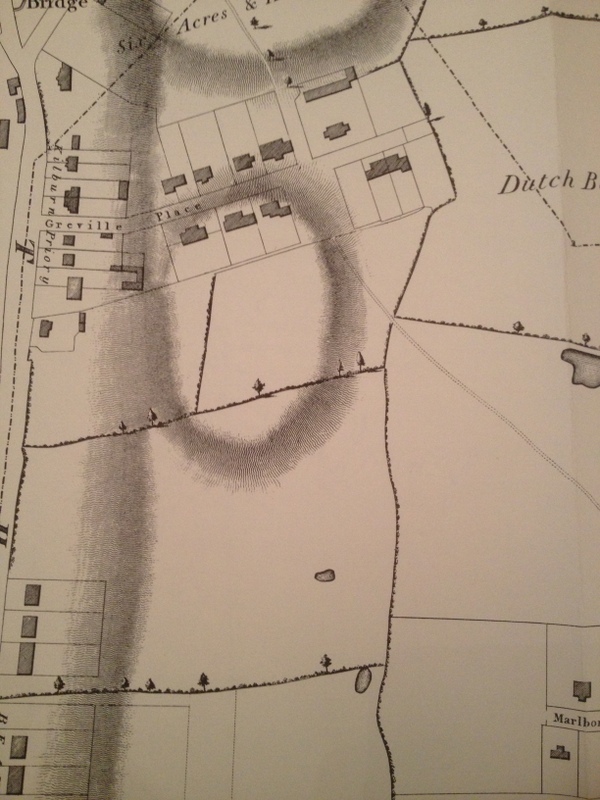 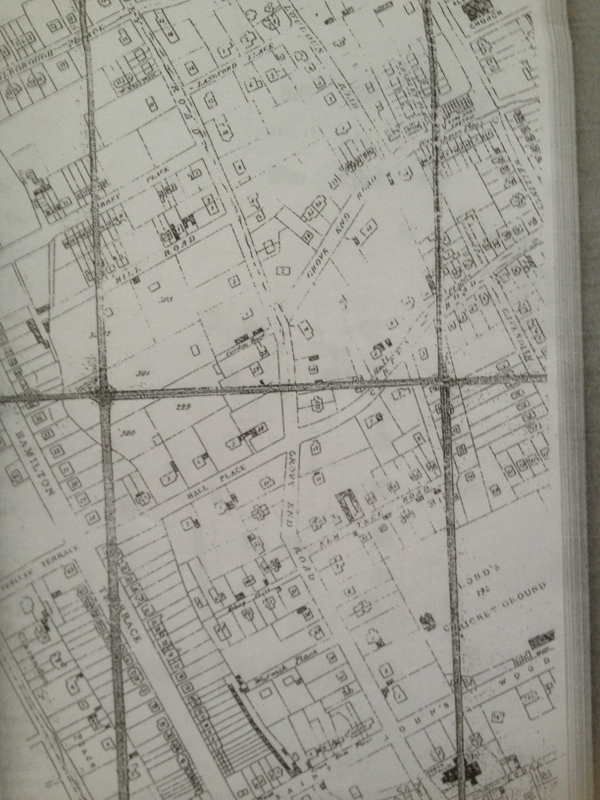 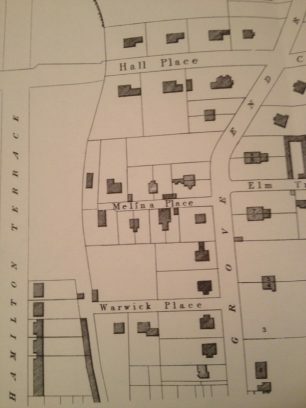 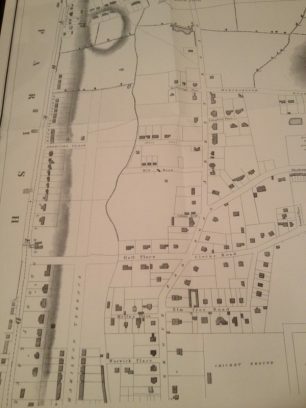 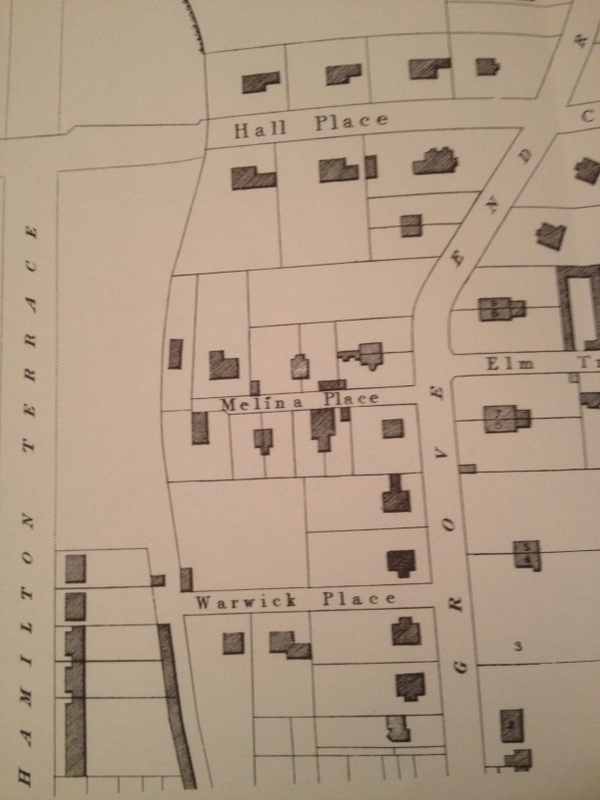 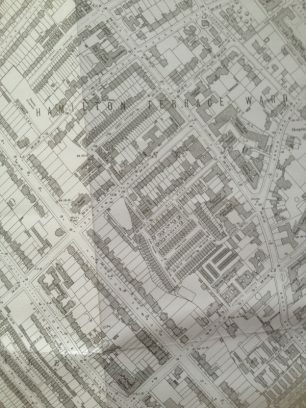 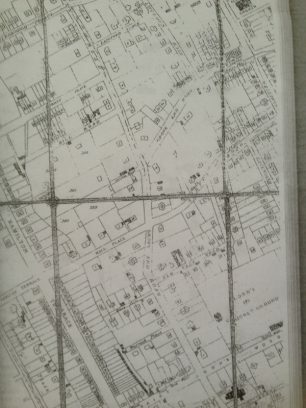 the site for commercial nursery gardens which lasted here longer than anywhere else on the estate – they are still visible on a 1903 estate map. 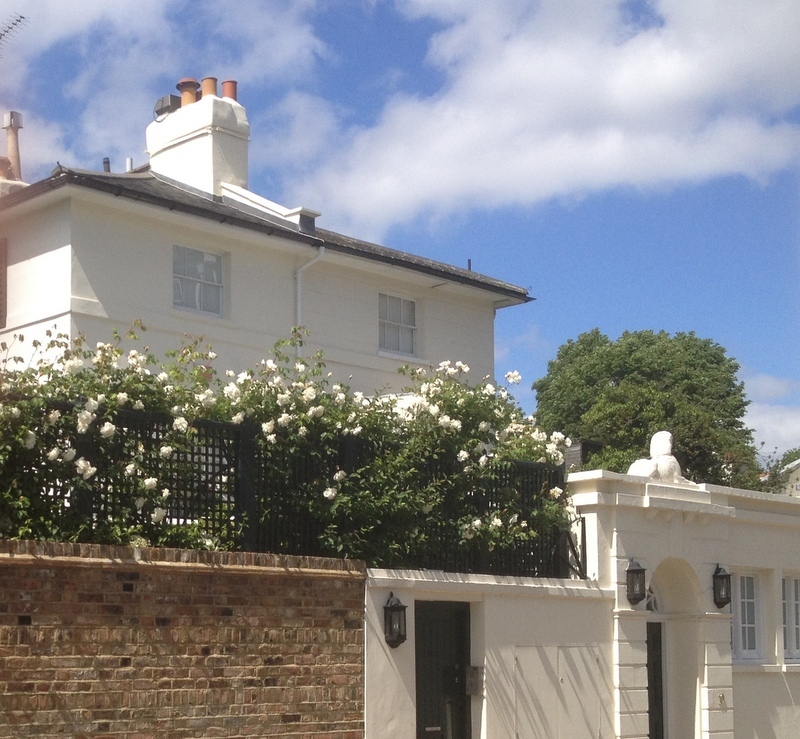 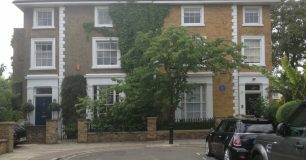 were built on a plot bounded by Garden Road, Abbey Road, Hill Road and the Harrow estate, by architect developer James Ponsford. 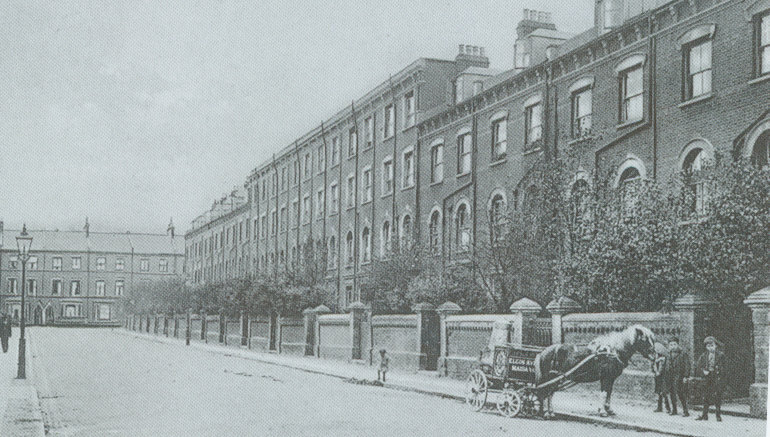 They were three storey houses with virtually no gardens front or back, but the inhabitants did have the Alma Square gardens to compensate. 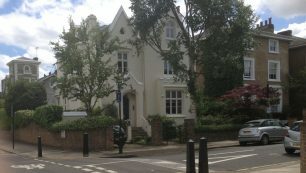 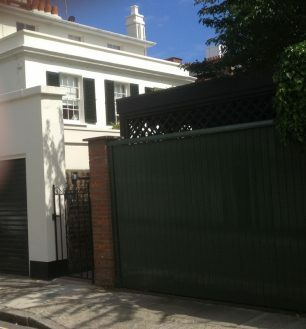 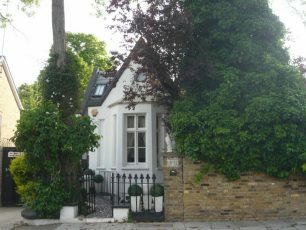 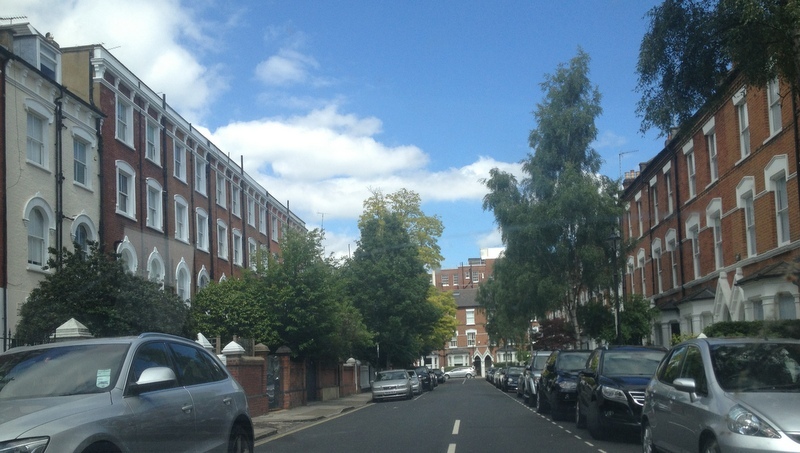 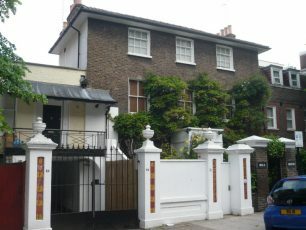 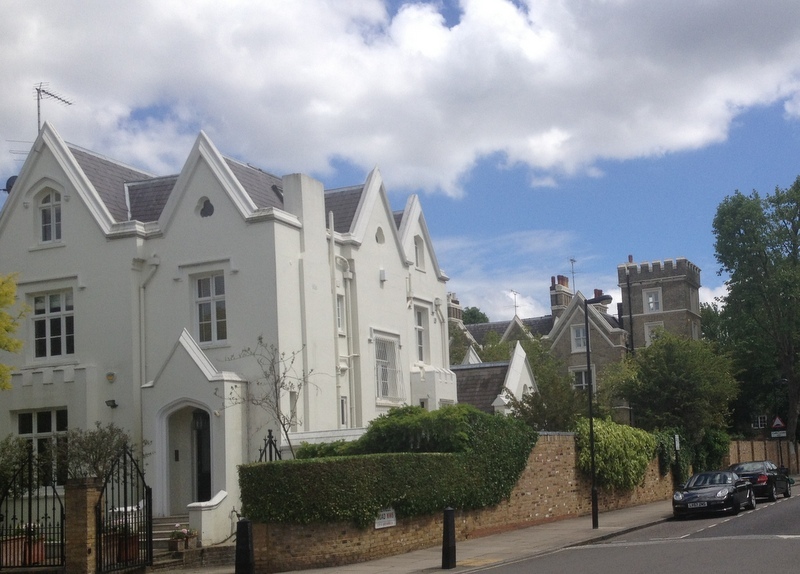 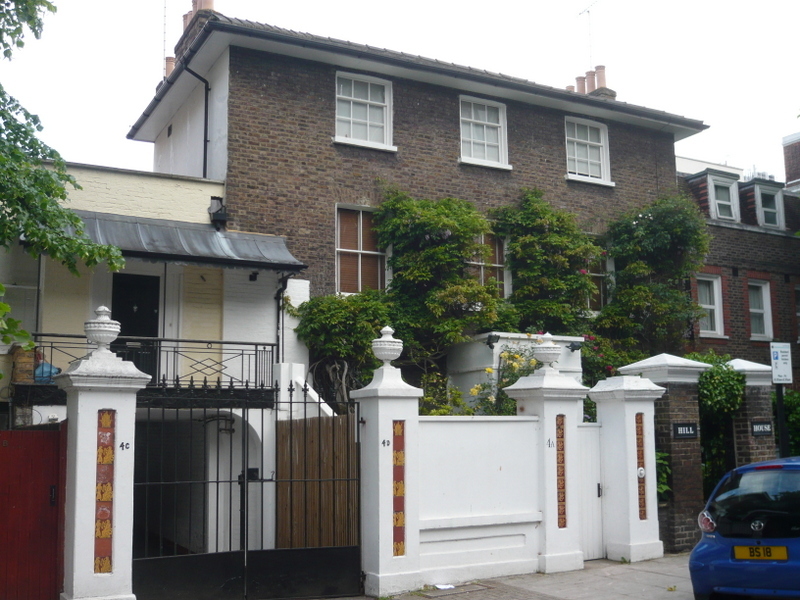 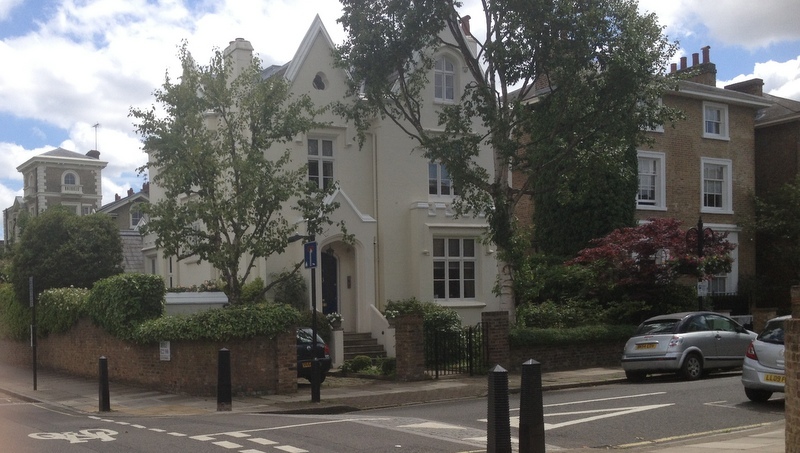 also developed by Ponsford, was more in keeping with the style of Eyre estate houses in the rest of St John’s Wood. 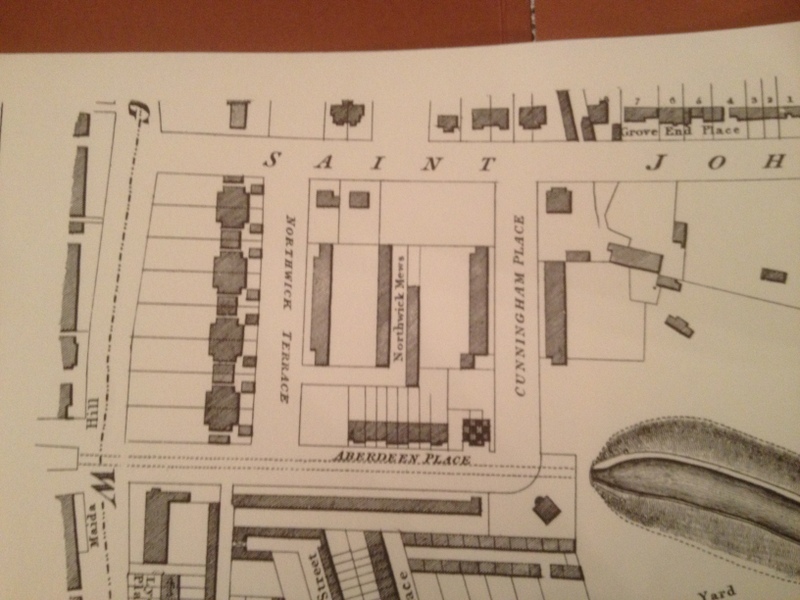 arrived in the 1860s following the curve of the footpath which resulted in some of them having virtually no garden, the space behing the buildings meeting the wall of Abercorn Mews, then the path crosses Abercorn Place ( originally Abbey Place) to wander along Violet Hill and pass the end of Abbey Gardens. 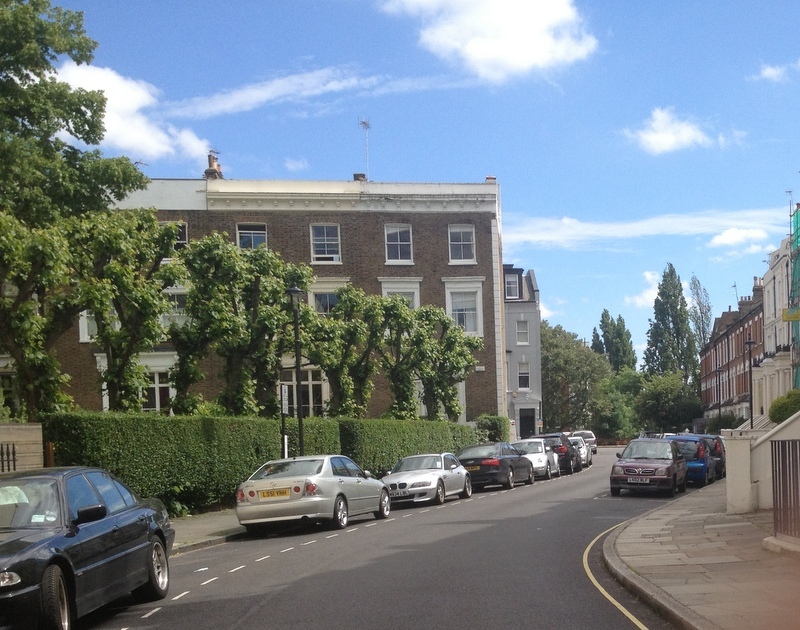 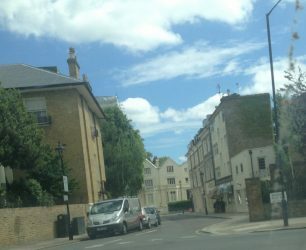 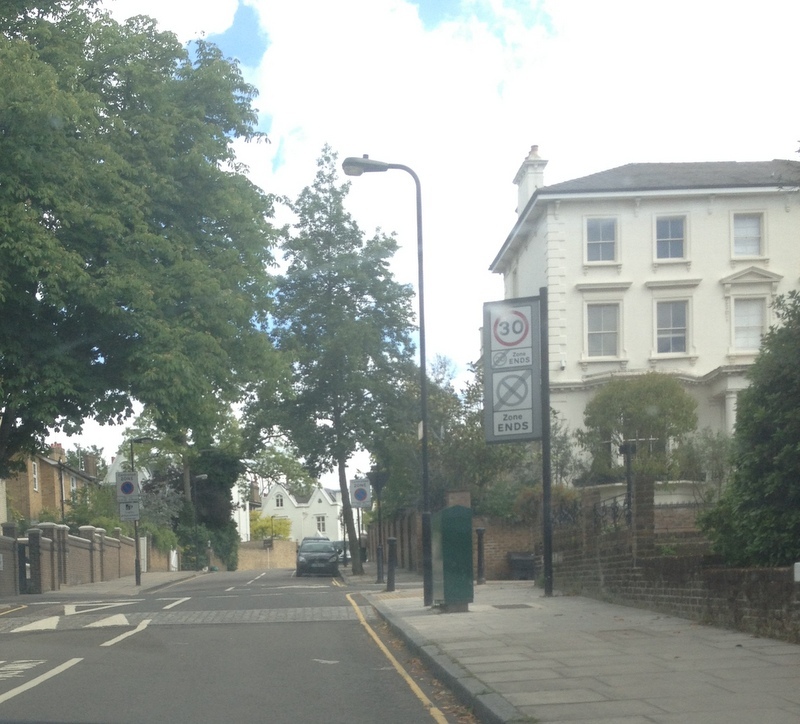 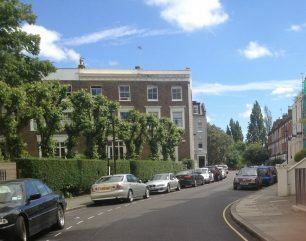 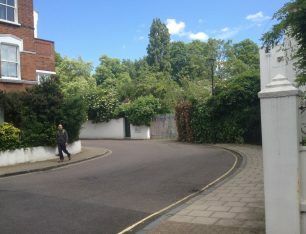 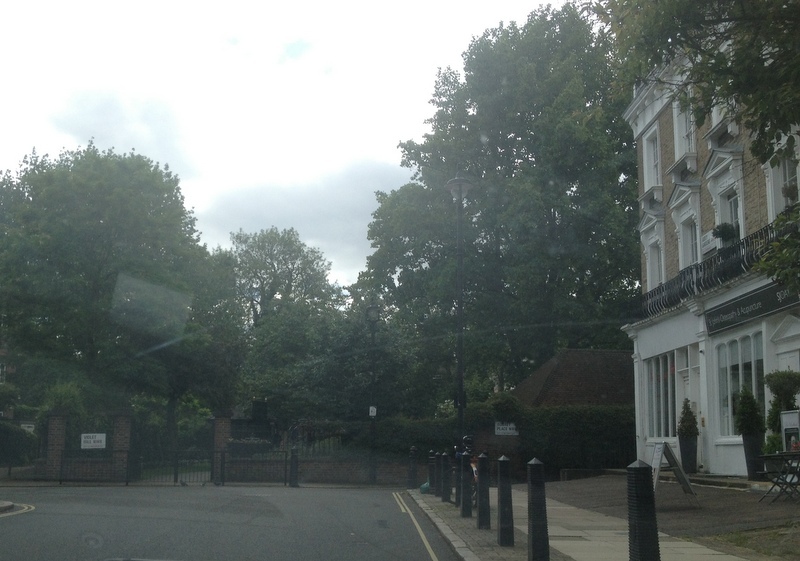 The route then crosses another through road, Marlborough Place, before it comes to the end of Blenheim Terrace where houses block the road. Another through road Carlton Hill is crossed to reach Greville Road and the cross roads with Clifton Hill. 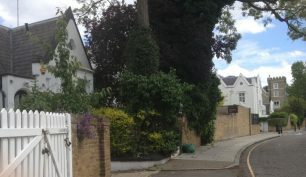 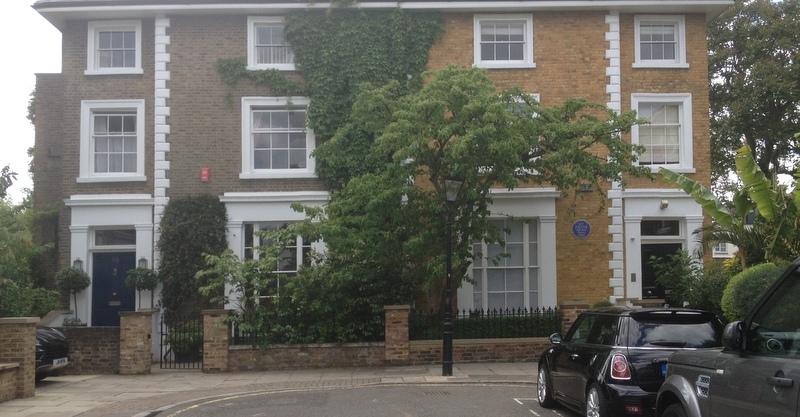 Although this area belonged to the Eyre Estate, it was sold prior to development to the architect/builder, Francis Armson, who had previously developed some of the Abbey Road and Blenheim Road area. He repeated one of his most attractive ideas, where, as Pevsner says, the four corners of the cross road are distinguished by modest Gothic houses echoed in miniature by the cottages behind. 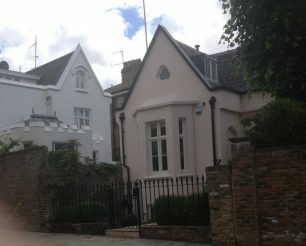 These two cottages have the appearance of lodges to signify that one is leaving the Eyre Estate as the Greville Estate starts at this point. 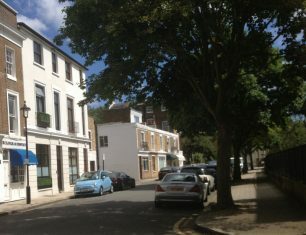 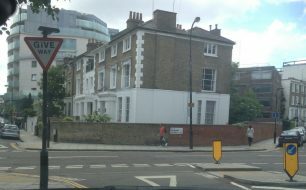 A few yards further along comes Greville Place, which had been developed in 1819 as a cul-de-sac which ended close to the parish boundary but pointing towards Abbey Road on the Eyre estate. 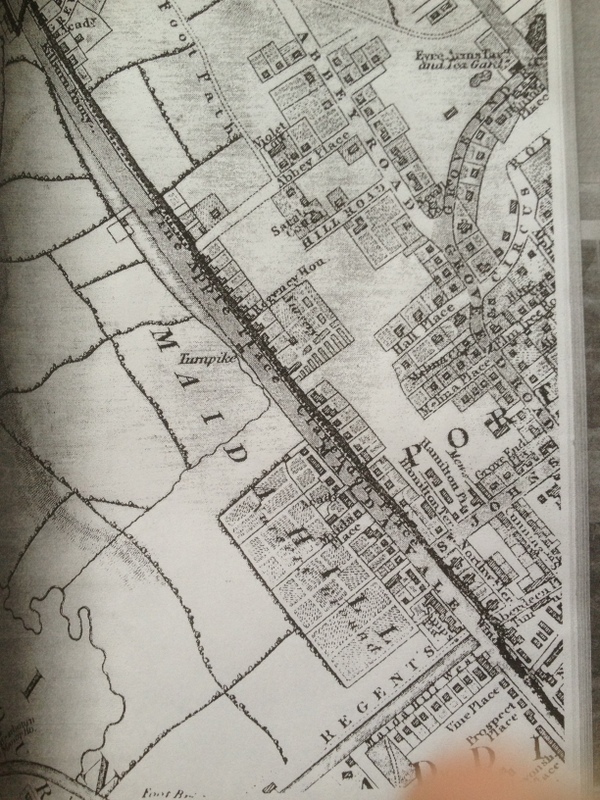 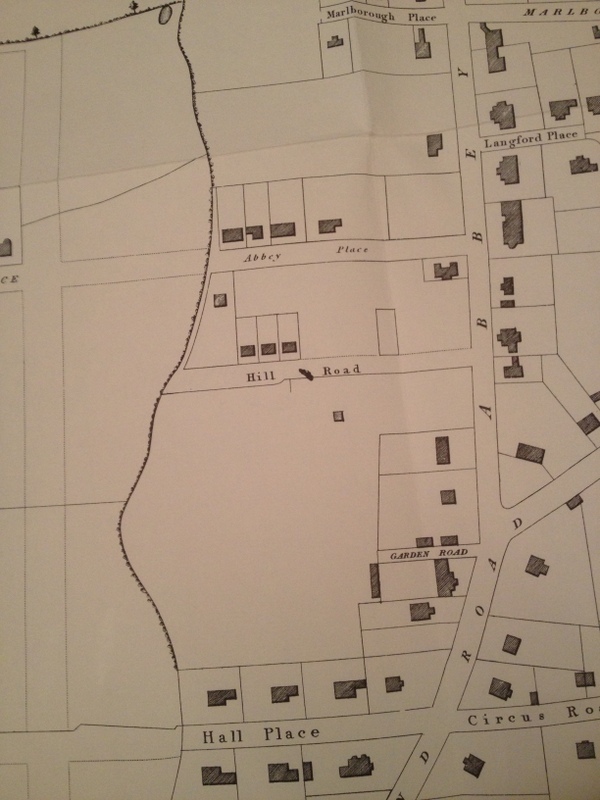 Eventually in the 1850s it joined with the extension of Boundary Road to be another through road. 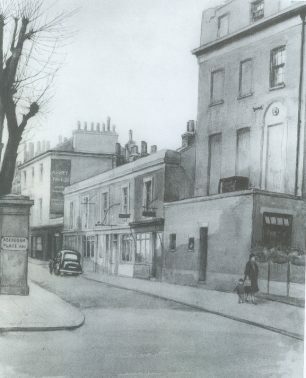 One feature of the area was the number of artists who lived there; Greville Road and Greville Place had many studios which attracted painters and sculptors. Greville Road continues north until it reaches Kilburn Priory.